We don’t want to give too much away – we’ve spent too many years perfecting our rebuild system to share our secrets. What we can tell you is that we tear everything apart – down to the nuts and bolts – on these machines and start from scratch. Everything gets inspected, replaced, rebuilt – with mostly new components. It’s like a brand new machine by the time we’re done. We’ve designed, prototyped, tested and utilized different components and parts for our machines. They’re custom-built for the harsh environments in which they operate. 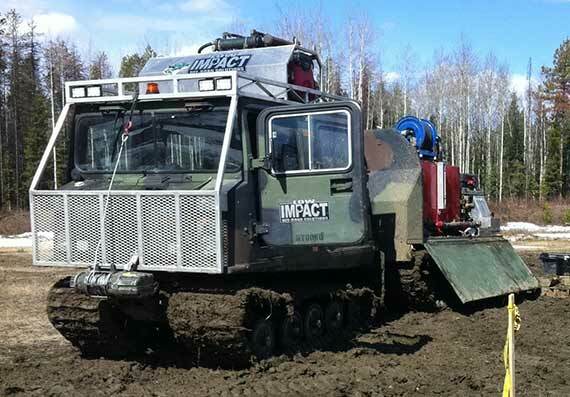 They’re also custom-built and modified into a variety of versions: crew carriers, pickers, hydrovacs, water carriers and more. When we’re finished, these machines are more reliable, more comfortable and have a much better engine. They’re more fuel efficient, powerful and user-friendly. Let us know what you need. Chances are we have a machine for you.